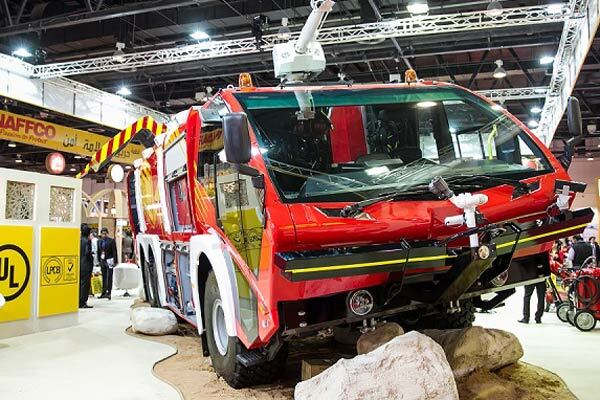 More than 500 exhibitors from across the world will be at the Intersec 2019, the world's largest trade and networking event for safety, security and fire protection, when it opens doors in Dubai, UAE, next year. To be held from January 20 to 22, Intersec will see two-thirds of the world's top 50 security providers, and global security brands continue to make a beeline for the mega safety and security event, to tap into and harness the enormous growth potential of the wider regional market. One of the key focal points of the three-day mega event will be commercial security, which will form the largest section, said the organisers, Messe Frankfurt Middle East. The annual three-day event is expected to draw in more than 1,300 exhibitors from 59 countries. It will encompass the seven sections of commercial security; fire and rescue; perimeter and physical security; safety and health; homeland security and policing; information security; and smart home and building automation. Recent market figures released by Knowledge Partner 6W Research estimates that the Middle East market for commercial security will reach $7.4 billion by 2024, achieving a sustained CAGR of 16.6 per cent. The research indicated that demand for IP-based video surveillance systems, access control and intrusion detectors would continue to drive the market, which is fuelled by increased government spending on infrastructure projects and the imposition of stringent regulatory policies, creating increased opportunities for global security brands, it stated. According to the organisers, the upcoming mega-events in the region, such as the Expo 2020 in Dubai and the expected influx of millions of additional visitors are also expected to create demand for the latest in video surveillance systems and intelligent monitoring apparatus. Access control systems continue to remain in high demand in the Middle East, registering a market revenue of $300 million in 2017. Increasing awareness of security threats and a growth in IT spending will keep the market driving ahead. Meanwhile, the demand for biometric access controlled systems has surged across the Middle East with the growing adaption of fingerprint and eye scanners across the region, they stated. The largest share of deployment of such systems in the region remains in the commercial sector, they added. According to 6W Research, the market for intelligent video analytics software and systems is also on the rise across the entire region and are expected to create huge growth opportunities for manufacturers, vendors and distributors. "Commercial security continues to be one of the chief driving sectors of Intersec as companies across the region continue to invest in cutting-edge intelligent security systems to protect their investments and facilities in an increasingly complex security scenario," remarked Andreas Rex, the show director of Intersec. "As the most influential and significant international trade platform for safety, security and fire protection in the wider region, Intersec 2019 will showcase a wide spectrum of the latest developments in the commercial security sector," he noted. Leading international security solutions provider CP Plus will be front and centre at Intersec 2019 with its latest range of intelligent surveillance products. Director Gaurav Khemka said: "We have had a long association with Intersec, and we look forward to it each year with renewed enthusiasm. Video surveillance has evolved manifold over the years and as a market leader, we have always strived to stay ahead of the competition. The new age surveillance is all about automation, intelligence, and resource efficiency." "This year we are focussed on showcasing our technologies based on Artificial Intelligence, AI, and the Internet of Things (IoT), " stated Khemka. "These are IP surveillance solutions; Network PoE switches; 4K analog HD solutions with H.265+ CODEC; Law and Enforcement solutions such as Bodyworn cameras and Mobile DVRs; Command and Control Room solutions including Integrated VMS and Health Monitoring systems; Time and Attendance solutions with Cloud management; and Multi-apartment Video Door Phone systems," he added. Fernando Cajal, the international sales manager of Gesab, a leading security solutions provider, said: "Attending an event like Intersec allows us to get in touch with the main decision makers of security and defence projects." "We can show our solutions directly to our targets and meet new customers, as well as see new developments in the sector. Gesab will showcase their own full range of custom designed and manufactured technical furniture including control consoles, meeting and conference room plus our Dynamic IP Based KVM system DeskWall," he noted. At the upcoming event, we are introducing the Gesab Dynamic KVM System DeskWall with the new remote desktop capability and our audio visual solutions with the new DataWall in the region for the first time. The Middle East is considered a very significant market by Videotec, who use the show's trans-regional reach to meet and interact with a large pool of potential buyers and partners across the region. Marketing and Communications Director Alessandro Francini said: "The Middle East is one of our most important business areas. Besides, at Intersec it is possible to meet visitors from all over the world not only from the Middle East. We will showcase our housing, PTZ camera and ex-proof products."